The Word is an inspirational and motivational song. it is a song that you need to use as an instruction to your soul especial in Hard times. Olujinmi Olakunle professionally known as Jimi Khay. He is the first born of his family. He is a graduate of Geoinformatics/Land Surveying from Yaba College of Technology and also a BSc holder in Economics from Ambrose Alli University,Ekpoma, Edo State. Jimi khay is an ordained Music Minister who started his music career in 1994. He was a pioneering member of Midnight Crew. He was the first Vice President of the crew. They released an album together titled FUSSION in 2003/2004. He has ministered along side many artists both local and international. 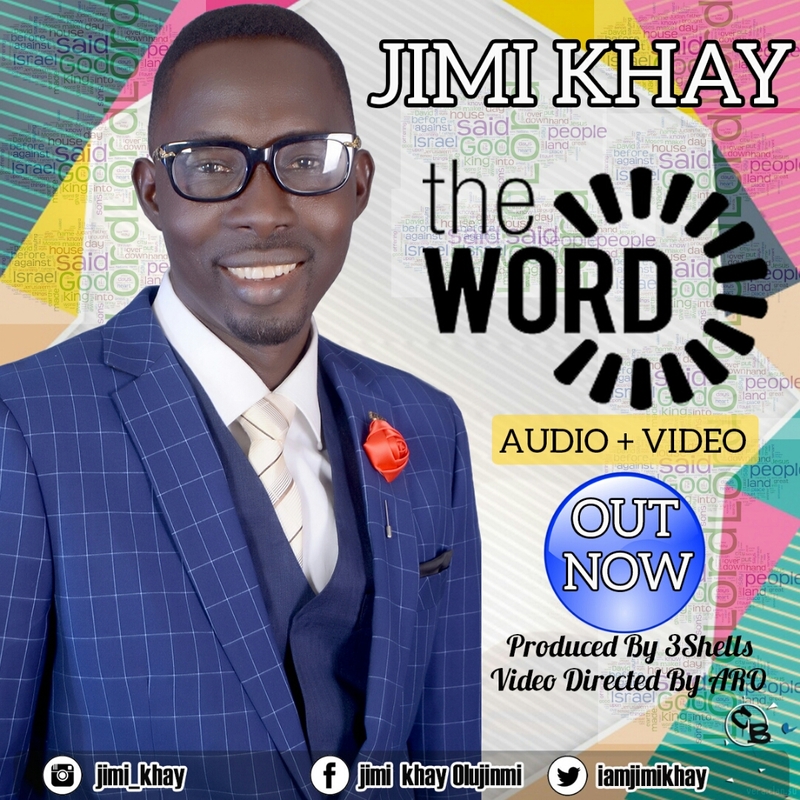 Jimi khay is a worshipper,song writer and a composer. He released his maiden album in 2012 titled OUTSTANDING. He has received so many awards like The Best Gospel Video in 2014 organized by Kogi Gospelite Music Merit Award. His latest album was released in March 20th, 2016 titled “Unusual Glory”. Jimi khay is married and blessed with Daniel And Daniella.